When you ask us for an antenna recommendation, we’ll tell you that we can’t guarantee our recommendations although we do feel really strongly about them. Of course all Solid Signal products are returnable within certain limitations, but we stop short of offering that iron-clad promise that you’ll get the reception you expect. It seems like we’re weaseling out but really, it’s the best we (or anyone) can do. Antenna selection is as much an art as it is a science. There are so many factors that go into selecting the right antenna for you, and that’s why we ask for so much information. We want to know how where you want to put the antenna, your exact location, and everything else we can possibly use to give you the best recommendation, but sometimes that’s still not enough. Even though we work from the latest possible information, it may still not be enough. Your home may be sunken down from the sidewalk as is common in the west, or it may be surrounded by tall trees as is common in the north. There may be reflections from unexpected places. Even the weather plays a part. If it’s frequently rainy where you are, antenna reception may be affected, and even extreme sun can distort radio waves the same way that light bends when it’s really hot out and you look out at a distinctly wavy landscape. There’s so much to consider. 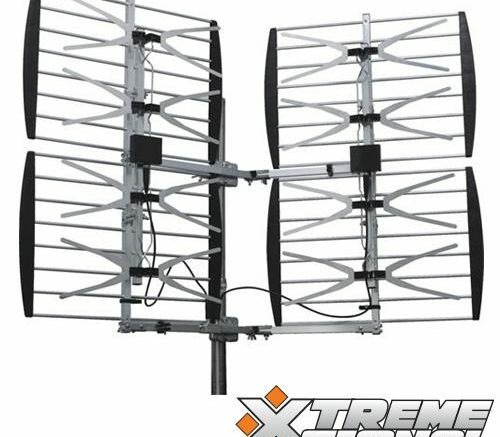 We try to offer you the best antenna for the money that still gives you quality, durability, and most of all great reception of all the channels you need. Your recommendation will be prepared for you by experts who have years of experience, and that’s why we feel very good about the antennas we recommend. Very good, yes, but a total guarantee is beyond what we’re capable of. Don’t let anyone tell you that they can promise with absolute certainty that a particular antenna will work for you. The only way to really be sure is to be at your exact location and take measurements with a meter in several different times of day during different weather conditions. That’s a little too much to ask of most people, I think you’d agree. But short of that, we do use the tools we have including extensive maps of antenna coverage, elevation, and the information you give us.